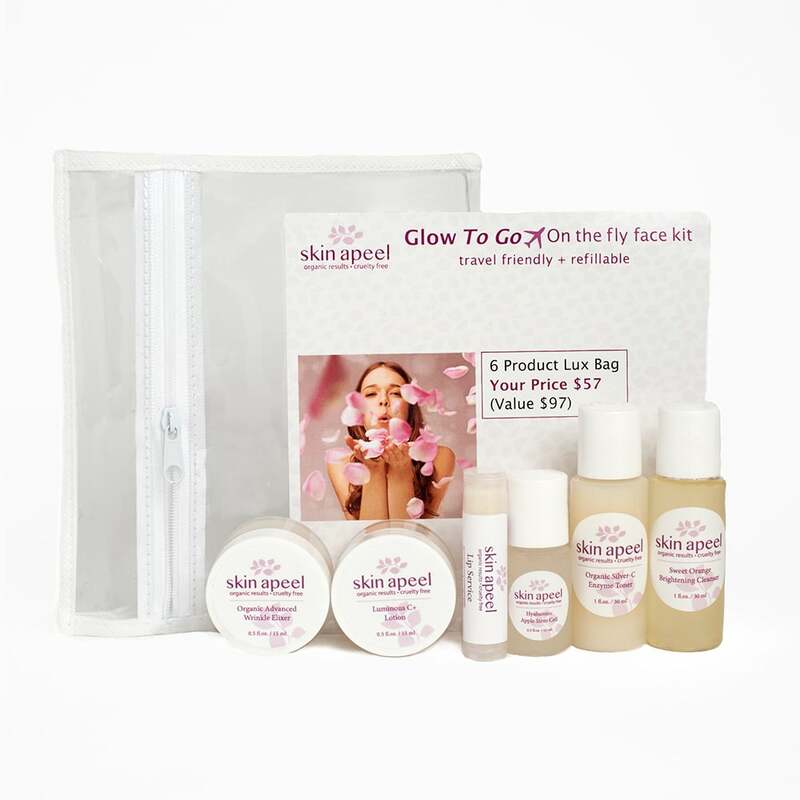 This 2 week airline travel friendly and refillable kit is a glow to go must for every skin type. Kit includes cleanser, toner, water based serum, day and night moisturizers, and lip balm. Valued price saves $40 and your skin! A great gift to give or to keep. Many key ingredietns that actively balance all skin types are generously cocktailed throughout these six core collection products. 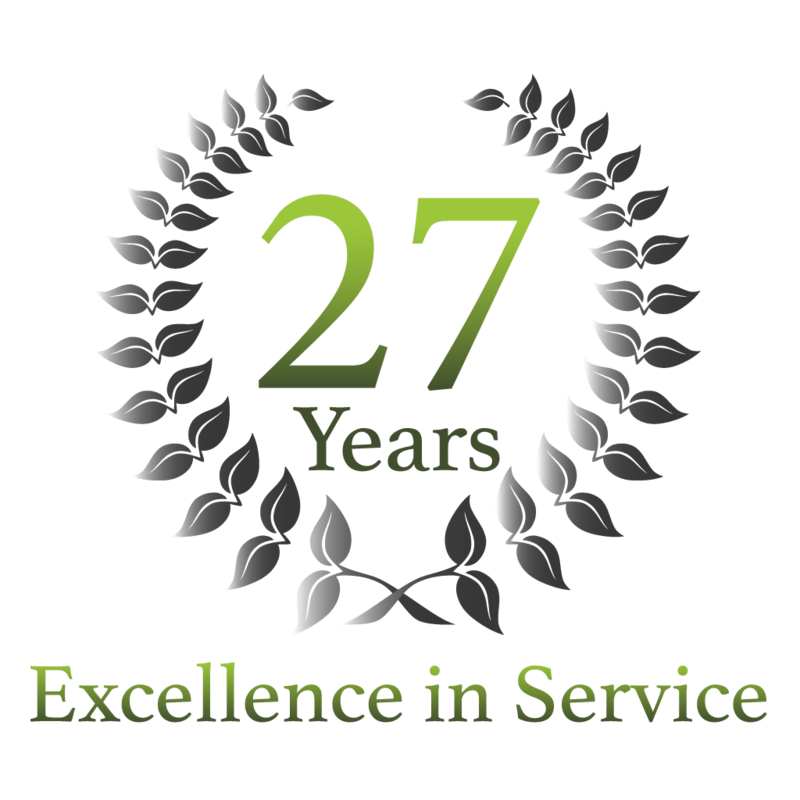 Please reference each product to view the organic delivery resutls. (95% Naturally Derived/95% Organic) Ingredients: Nano Structured Water with Magnesium, Potassium, and Silica, Organic Aloe Barbadensis Leaf Juice (Aloe Vera), Hamamelis Virginiana (Witch Hazel), Methylsulfonylmethane (MSM), Colloidal Silver, Lavandula Officinalis (Lavender Distillate), Pelargonium Gravolens (Geranium Essential Oil), Caprylyl Capryl Glucoside, Hydroxyethyl Cellulose, Carrageenan Gum, R Lipoic Acid, Citrus Grandis (Grapefruit Seed), Organic Rosmarinus Officinalis (Rosemary Seed Extract), Sodium Ascorbyl Phosphate (Vitamin C), Glycolic Acid, 19+ Enzymatic Concentrate (all from plant sources), Camu Camu Berry, Calophyllum Inophyllum (Oil of Tamanu), Morinda Citrifolia (Noni), Citrus Limon (Lemon Essential Oil), Wildcrafted Camellia Sinensis (Green Tea), Chamaemelum Nobile (Chamomile Essential Oil), Wildcrafted Arnica Montana (Arnica), Melaleuca Alternifolia (Tea Tree Essential Oil), Wildcrafted Resina Propoli (Propolis), Daucus Carota Sativa (Carrot Oil), Tocopheryl Acetate (Vitamin E), Sodium Benzoate, Potassium Sorbate, Ethyl Hexyl Glycerin. (97% Naturally Derived /65% Organic) Ingredients: Deionized Aqua (Water), Isopropyl Palmitate (Palm Oil), Methylsulfonylmethane (MSM), Sodium Ascorbyl Phosphate (Vitamin C), Kosher Vegetable Glycerin, Cetyl Alcohol, Stearic Acid, Glyceryl Stearate, Organic Carthamus Tinctorius (Safflower Oil), Butyrospermum Parkii (Shea Butter), Organic Simmondsia Chinensis (Jojoba Oil), Panthenol (Vitamin B5), Phenoxyethanol, Ethylhexyl Glycerin, Xanthan Gum, Organic Camellia Sinensis (Green Tea), Citric Acid, Organic Aloe Barbardensis Leaft (Aloe Vera Extract), Organic Centella Asiatica (Gotu Kola Extract), Organic Equisetum Arvense (Horsetail Plant Extract), Organic Pelagonium Gravoleons (Geranium Extract), Organic Taraxacum Officinale (Dandelion Extract), Sweet Orange Essential Oil. 100% Natural /83% Organic Ingredients: Organic Cocos Nucifera (Coconut Oil), Organic Beeswax, Organic Ricinus Cummunis (Castor Seed Oil), Butyrospermum Parkii (Shea Butter), Organic Rosa Canina (Rosehip Seed Oil), Vaccinium Macrocarpon (Cranberry Seed Oil), Persea Gratissima (Avocado Oil), Eupatorium Rebaudianum Bertoni (Stevia) Leaf Extract.